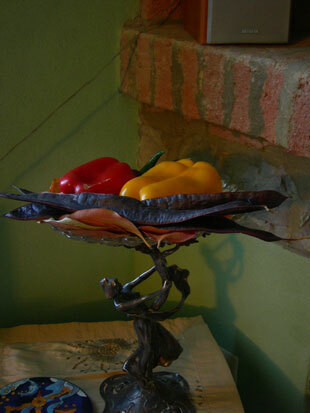 Casarossa is a bed and breakfast situated on a picturesque vineyard in the countryside surrounding Piacenza a city in the north of Italy. The buildings which make up Casarossa have been restored with respect to the agricultural style of local farm houses and liberty architectural style of the principal house. If it is big city life you prefer, it is possible to reach Milan in approximately an hour by car or train. In fact, Casarossa is well positioned to visit many charming north Italian cities including Pavia, Cremona, Piacenza, Parma, Lodi, Bologna, Firenze, Genova, Reggio Emilia, Modena, Bergamo, and Brescia. While Casarossa is a delightful sight in its own regard, the surrounding areas are rich with other sights and activities. It is possible to visit authentic Italian castles dating back to the 1300s and go for walks in the beautiful Trebbia Valley. Both the Paderna Castle the Belgioioso castle in Pavia are very interesting, especially for their cultural and artistic activities generally organized during spring. In addition there are the castles of the "Ducato". The famous town of Bobbio is located beside the clean and clear waters of the Trebbia river, which snakes its way through the valley providing many easily accessible swimming areas. We are happy to provide information and help you plan visits to these sights and areas surrounding Casarossa. In particular we collaborate in the organization of cultural extensions with the castles of Paderna and Belgioioso of Pavia. Our rooms at Casarossa are spacious and you can choose between rooms that look out on to the elegant vineyards or rooms adapted for particular evenings. 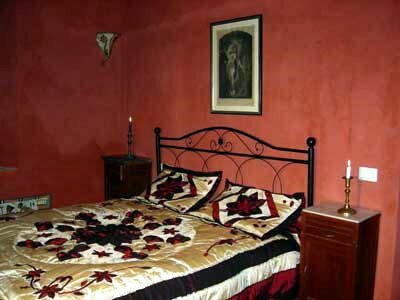 All rooms have private bathrooms and the majority have a living area as well as the bedroom. 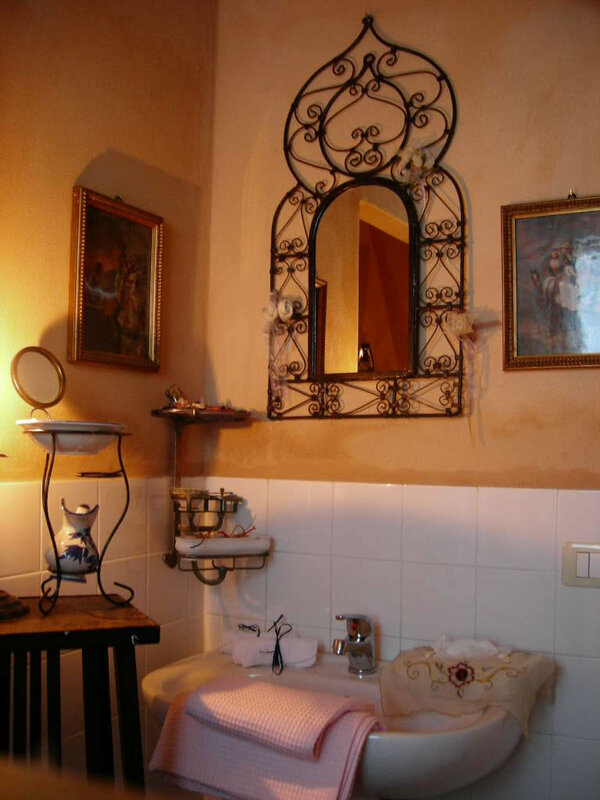 They are decorated in an elegant traditional Italian country style, of course, with the addition of modern conveniences. it is possible to reach Milan in approximately an hour by car or train. In fact, Casarossa is well positioned to visit many charming north Italian cities including Pavia, Cremona, Piacenza, Parma, Lodi, Bologna, Firenze, Genova, Reggio Emilia, Modena, Bergamo, and Brescia. Casarossa is located in Piacenza South - direction Stadio, then direction Bobbio - Genoa - Val Trebbia - S. S. 45, after 12 km on the left side at the crossing light in direction Grazzano Visconti, after 1 km on the right side you will see a road sign for the right turn to Cà Rossa.